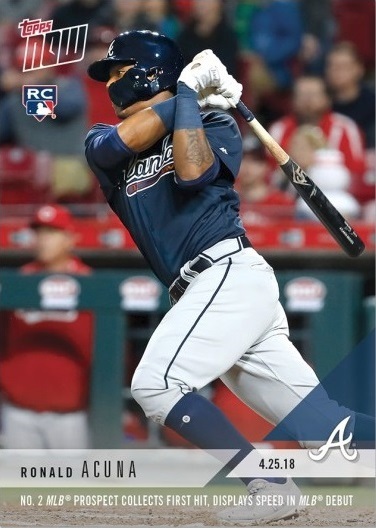 This is an official Ronald Acuna Rookie Card produced by Topps Now in 2018. It commemorates his Major League Debut on April 25, 2018 in which he collected his first Major League hit and run scored. According to Topps, this card has a print run of 11,131, meaning 11,131 of these cards were produced.